By the time the 1990s were well and truly underway, true independence and vertical integration within the automotive realm were things reserved for firmly established, decades-old (if not centuries-old) nameplates. Small, boutique nameplates were expected to sustain themselves by paying the big dogs for the privilege of licking the lighting, suspension, powertrain and other subsystem crumbs off their plates, for what were they but unwashed serfs just barely a fraction of a step above *insert audible sneer* kit car manufacturers? 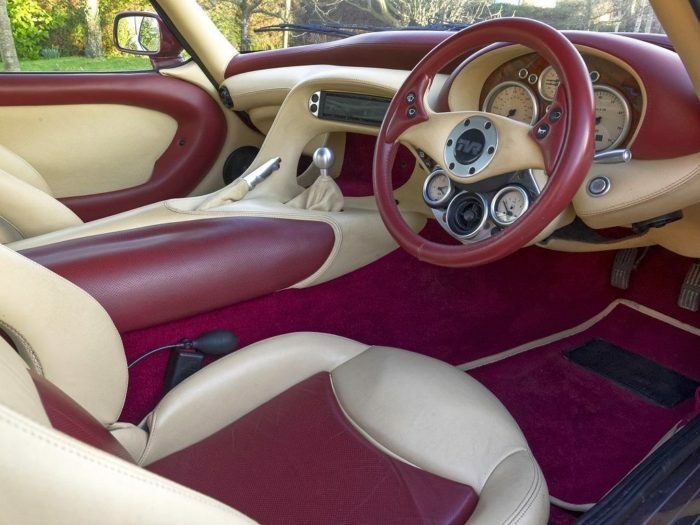 Yet it was during this time – and for the magical (and all-too-short) decade or so that followed – that TVR, one of the last remaining mom-and-pop marques in Britain, or anywhere else for that matter, decided to be the master of its own destiny. And its statement of intent was called the Cerbera. To understand what makes the Cerbera so special, we must first wind the clock back to December 1981. It was then that Peter Wheeler, a Yorkshireman who made a rather large fortune supplying oil exploration and extraction equipment to rigs in the bountiful North Sea, purchased the plucky sports car label. As the ‘80s progressed, TVR began moving away from using V6 engines and toward tuned versions of Rover’s Buick-birthed overhead valve aluminum V8. 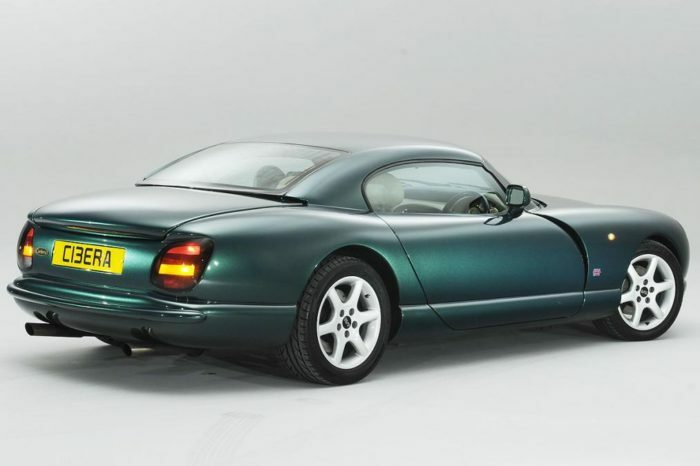 But in 1994, the Rover Group was purchased by BMW, and Wheeler knew that it was only a matter of time before the suits in Munich would decree the long-serving alloy workhorse be taken behind the barn and given a noggin full of buckshot; that, of course, would severely inhibit TVR’s ability to build cars that would appeal to anyone not living in the town of Bedrock. 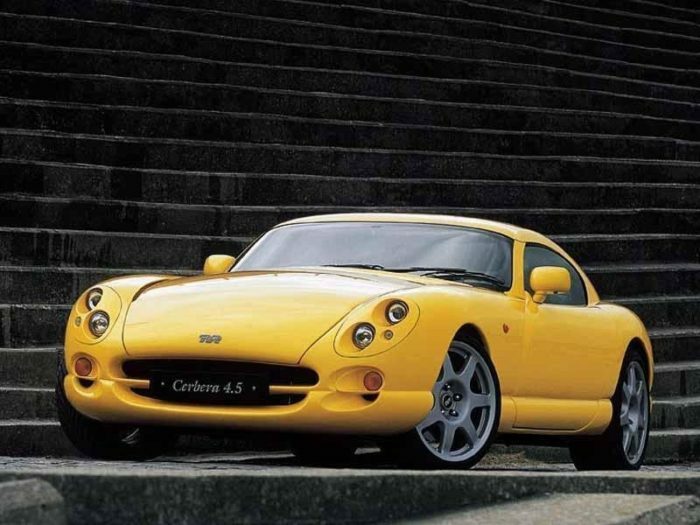 But instead of just looking for another major OEM to feed its horsepower habit, Wheeler decided TVR should produce its own engines. Enter ace race engine designer Al Melling. The brief he received from Wheeler was, um, brief, yet also quite ambitious: The new engine should be a naturally-aspirated V8 with track-bred attributes, yet civilized enough for street use. Oh, and make it something that might appeal to other manufacturers, thereby creating an additional revenue stream for TVR. The engine that Melling came up with – the Speed Eight, known internally as the AJP8 (for the first names of Melling, TVR collaborator John Ravenscroft and Wheeler) – was, quite simply, a gem. The initial 4.2L powerhouse featured SOHC, two-valve-per-cylinder heads, a flat-plane crankshaft, and a 75° V-angle, with a rated output of 360 horsepower and 320 lb.-ft of torque. Better still, it had a dry weight of just 267 lbs., which would give just about any vehicle the company chose to put it in exceptional balance. The question was, what would that vehicle be? Of course, that rumbling V8 under the hood delivers the sort of performance that will leave you in an altered state. 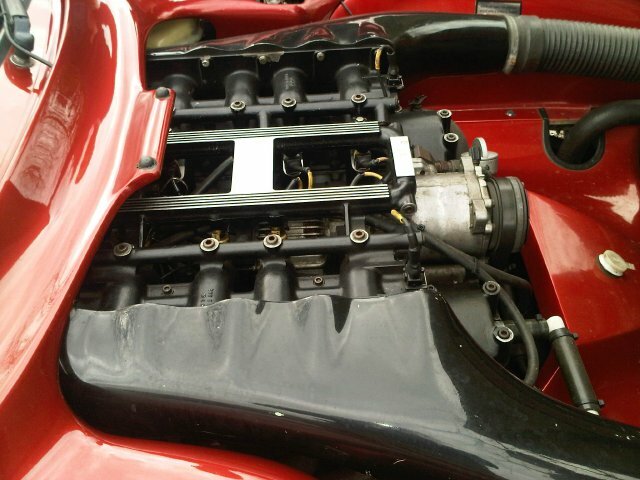 And in case the original 4.2L version of the Speed Eight wasn’t brawny enough, a 4.5L version followed a short time later; however, if you craved still more muscle, you could check the box to have the 4.5L engine fitted with the “Red Rose” package, which increased peak outputs by 20 horsepower and 22 lb.-ft of torque to 440 and 402, respectively, lowered the 0-60 mph time to 3.9 seconds, and boosted top speed to 193 mph. At the other end of the spectrum, and around the same time the Cerbera received a facelift that gave it insectoid, multi-element headlights, TVR added its new Speed Six engine (another Al Melling design) to the menu. The DOHC, 24-valve inline-six displaced 4.0L and was rated at 350 horsepower and 330 lb.-ft of torque, or right in the same ballpark as the 4.2L V8. Alas, reliability woes on early Speed Sixes soured many on this otherwise outstanding lump which, like all Cerberas, interfaced with the rear diff through a 5-speed manual transmission.